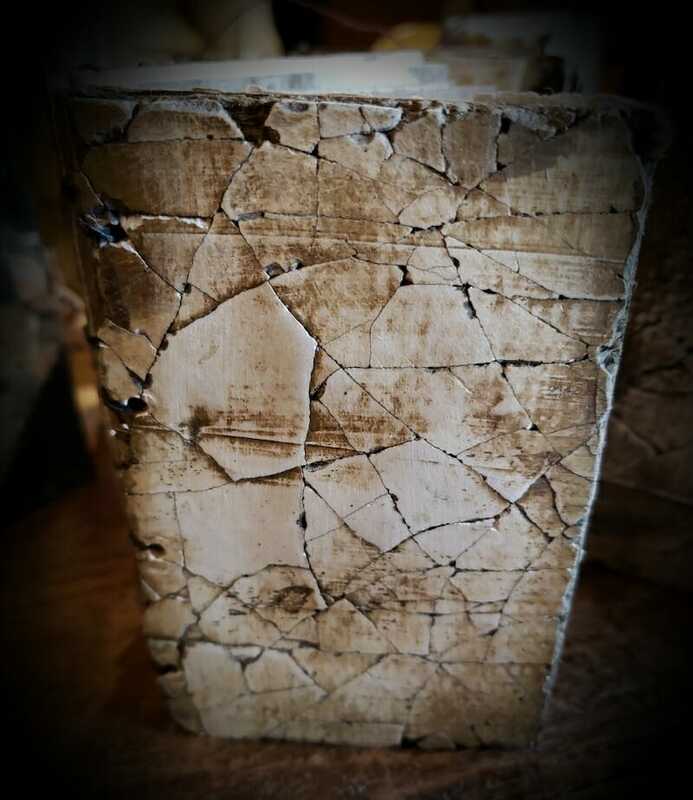 Join Sharon in creating this clever little cracked plaster book. 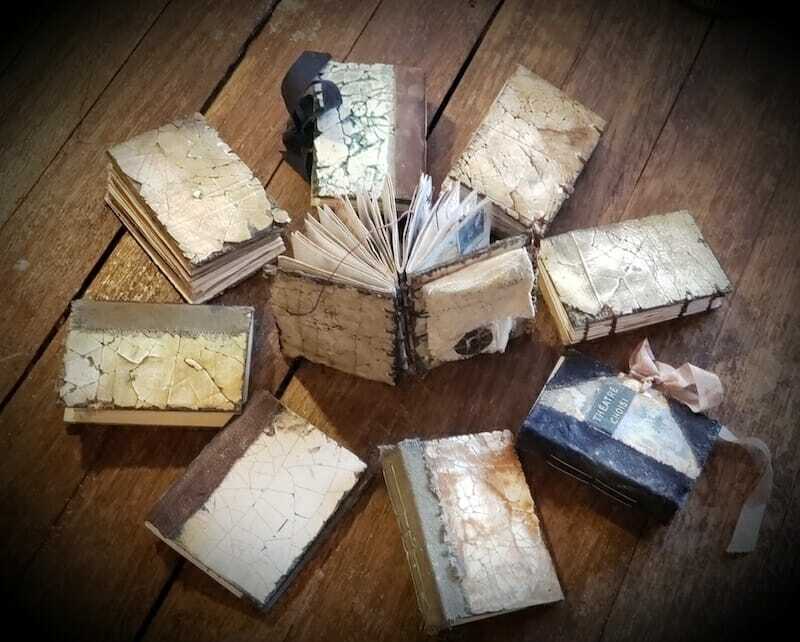 Using the materials provided, you will create your own texture and painted surface for covering your books. 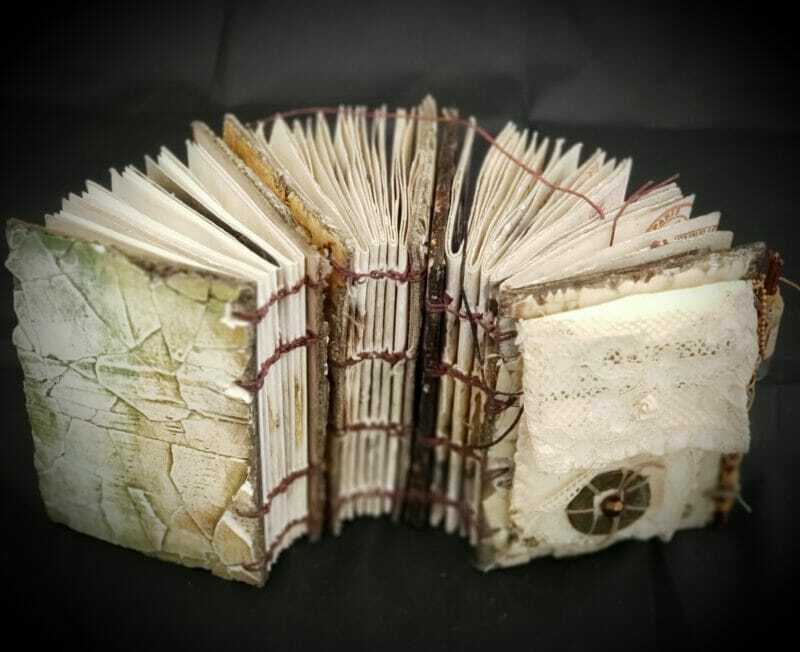 With a simple binding on your inside pages, you will walk away with an artifact that will look like you went to the far reaches of the globe to unearth your book. All supplies, paints, papers, binding materials and tools will be provided for you, so no need to pack anything! Sharon designed this workshop for Ogden, Utah – Talk Story 2018. Once again I want to let you know that meeting you and taking your class definitely has had of lifelong transformation in my heart and soul. Your gift of sharing your creativity, your love of art, and compassion touches so many people you teach.